Summary: Darwin’s “conditions of life” link the creation of sunlight from the creation of ATP to the creation of microRNAs and RNA-mediated cell type differentiation in the context of biophysically constrained viral latency. There is no magical creation of an RNA force field or protein force field that could be used to link the magic of evolution to biologically-based diversity in species from microbes to humans. The complex and often highly dynamic 3D structures of RNA molecules are central to their diverse cellular functions. 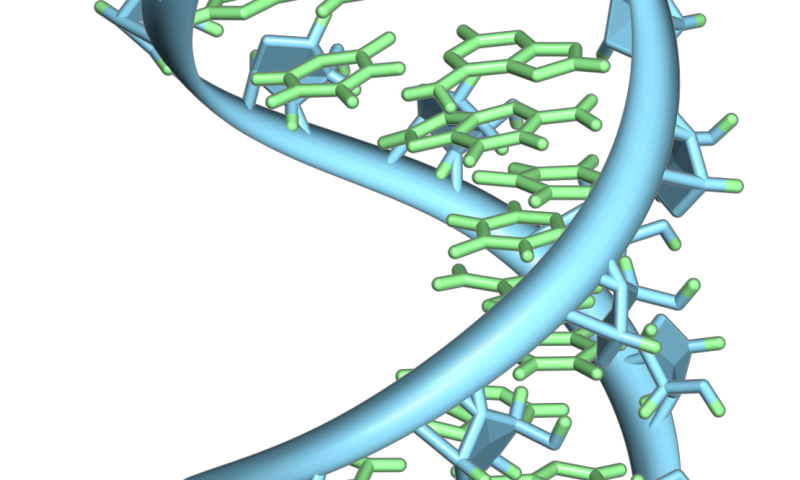 Molecular dynamics (MD) simulations have played a major role in characterizing the structure and dynamics of proteins, but the physical models (“force fields”) used for simulating nucleic acids are substantially less accurate overall than those used in protein simulations, creating a major challenge for MD studies of RNA. Here, we report an RNA force field capable of describing the structural and thermodynamic properties of RNA molecules with accuracy comparable to state-of-the-art protein force fields. A theoretical analysis demonstrates that this observation can be explained by a reversible change in the mechanical properties of the cell surface (transmembrane pressure, surface tension, and bending rigidity). Taken together, these findings contribute to the ongoing debate about the physical nature of cellular excitability. The mechanical properties of reversible changes in the cell surface did not create themselves. There is also no such thing as RNA force field without the creation of sunlight, the creation of ATP and the creation of RNA. The energy-dependent creation of RNA is required for the biophysically constrained construction of all membranes in all cells. The article about the RNA force field appears to be another hoax akin to Nonomura’s article: Small RNA pathways responsible for non-cell-autonomous regulation of plant reproduction. The pathways do not create themselves. The RNA force field does not create itself. There is no such thing as non-cell-autonomous regulation outside the context of the creation of sunlight, energy, ATP, and RNA, which biophysically constrains viral latency. Mitochondria–lysosome contacts thus allow bidirectional regulation of mitochondrial and lysosomal dynamics, and may explain the dysfunction observed in both organelles in various human diseases. These findings suggest that Gag retroelements have been repurposed during evolution to mediate intercellular communication in the nervous system. Arc looks like and behaves like a virus. The protein “infects” nearby cells, in this case neurons, with instructions of how to make more of itself, i.e. it shuttles its own mRNA from one cell to another. If you never looked at another published work, you might still know more than Jason D. Shepherd knows about protein biosynthesis and degradation. He skips the parts about the energy-dependent creation of ATP and RNA and proceeds to link a protein that behaves like a virus to mRNA communication among cell types. Complex I (NADH:ubiquinone oxidoreductase) is central to energy metabolism in mammalian mitochondria. It couples NADH oxidation by ubiquinone to proton transport across the energy-conserving inner membrane, catalyzing respiration and driving ATP synthesis. Instead of the simple-minded approach taken by Jason D. Shepherd, these authors link the creation of ATP to the biophysically constrained creation of RNA via published works from 1964 and 1968. We describe a selective and mild chemical approach to controlling RNA hybridization, folding, and enzyme interactions. Control of RNA hybridation, folding, and enzyme interactions is energy-dependent. That is no secret to serious scientists! Biologists used to think they knew DNA’s less famous cousin, RNA, but in the last two decades it’s become clear the molecule is keeping far more secrets than it has ever revealed. Recent discoveries have it taking on never-before-anticipated roles in regulating how a cell functions. Diagram: A hairpin loop from a pre-mRNA. Highlighted are the nucleobases (green) and the ribose-phosphate backbone (blue). Note that this is a single strand of RNA that folds back upon itself. In the past two decades (January 26, 1998 to January 26, 2018) more than 62,000 published works mention “microRNAs,” which used to be called pre-mRNAs. In our 1996 Hormones and Behavior review, we linked the food energy-dependent creation of pre-mRNAs to the pheromone-controlled physiology of reproduction in all living genera via RNA-mediated cell type differentiation. The claim that “Recent discoveries have it [RNA] taking on never-before-anticipated roles in regulating how a cell functions” is an insult to every serious scientist who has lived and or died during the past half century. It is no secret that the creation of sunlight has been linked from the creation of ATP to the creation of RNA and all biophysically constrained biodiversity via the physiology of pheromone-controlled reproduction. The cell biology board game “Cytosis” is proof of the fact that anyone age 10+ who plays the game will know more about energy-dependent RNA-mediated cell type differentiation than anyone who reports their findings as if new information had recently become available.